Thanks to DeanShoegazeBromley‏ for sharing the setlist. 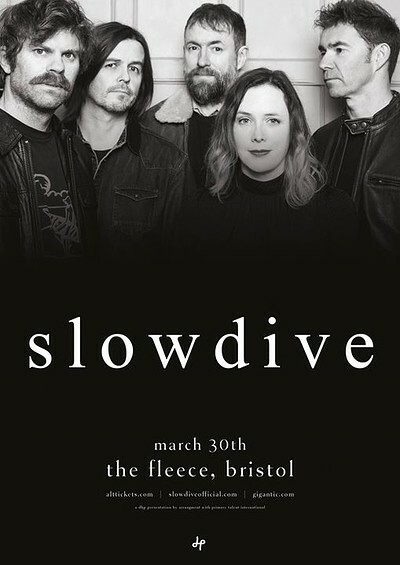 Kitchens of Distinction and Slowdive supported Ride. 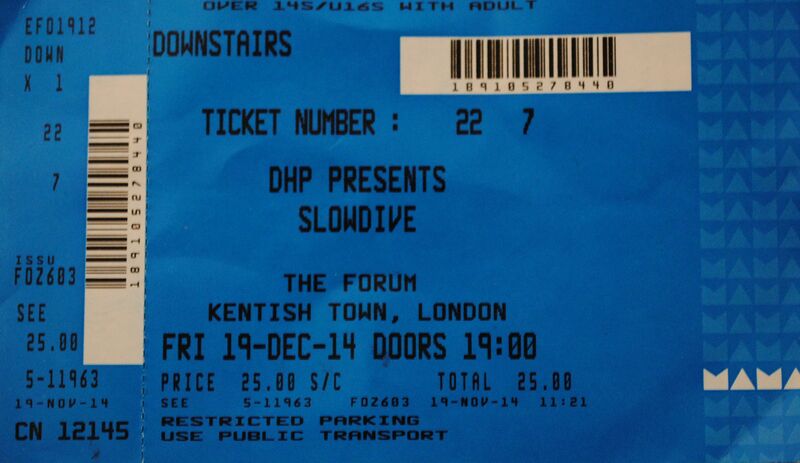 Thanks to Peter Vendlegård ‏for confirming this date and to @ajk74 on Twitter for sharing his ticket scan. The line-up remained secret until the day, but rumors about Slowdive playing (due the flyer design and the scheduled concert next day at Village Underground) circulated in the Web weeks before. 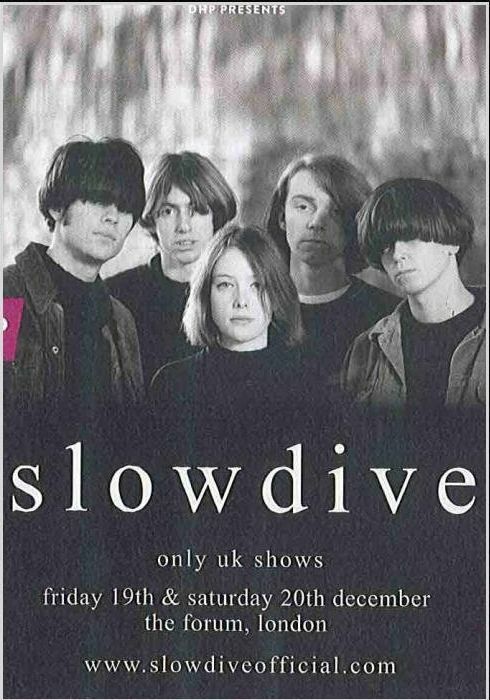 This was the first Slowdive concert in 20 years, after their show in Toronto, on May 21st, 1994.
the gig was almost unreal, it was a tiny stage and most of the people in the audience were our friends! 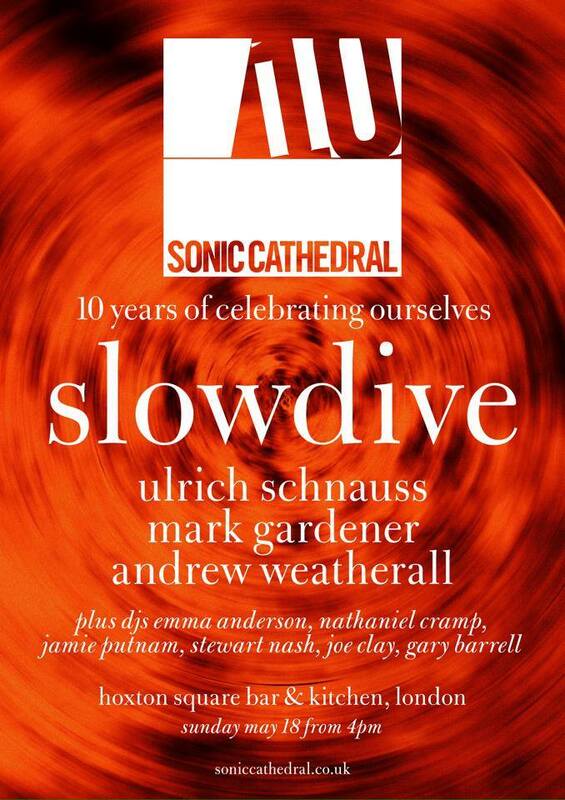 So it just felt like we’d turned up and were playing at a private party for a bit of fun. There was literally not enough room for us all on stage, so I had to go right at the front, in the middle, otherwise I was clashing guitars with Neil the whole time. That ended up being quite a stroke of luck though, as I really enjoyed being up front in the middle, and throwing a few shapes – so that’s where my stage position has been ever since. The sound wasn’t great that night – the PA was pretty small, but we still got a great reception. 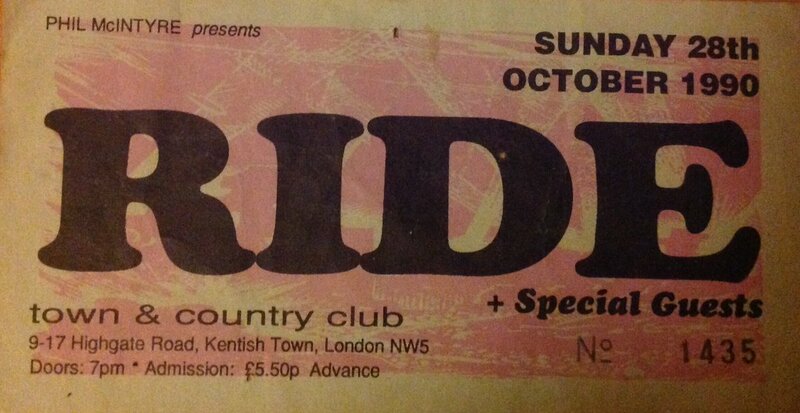 Mark Gardener from Ride did a solo set before us, and he was really excited at the end of the night, just with the whole vibe and how we just seemed to have slotted back in as if 20 years had never happened. 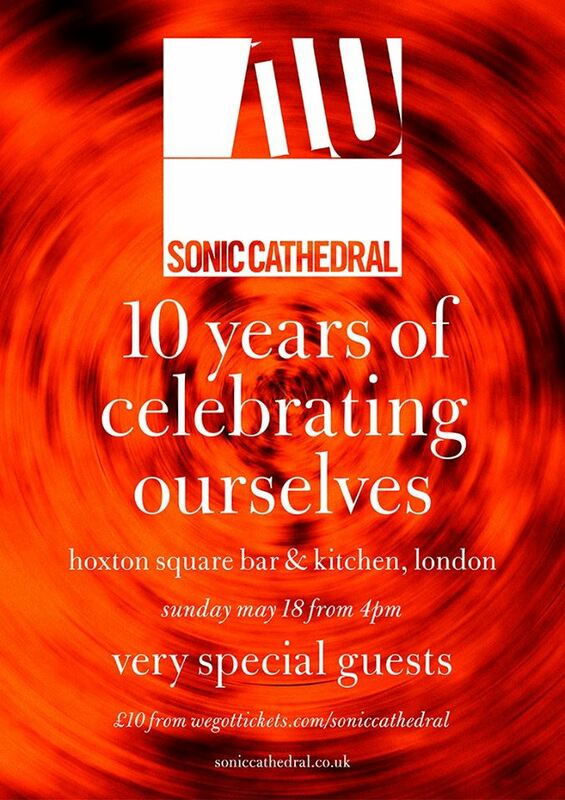 Thanks to Nat Cramp (Sonic Cathedral) for the invitation to this historic event.